It should be remembered that within each type there are several grades. Also, the tobaccos that bear the same names as their Greek cousins are quite similar. They have the same basic aroma, nicotine content and burning and other qualities. Izmir tobacco constitutes a very large part of the entire Turkish tobacco crop. No wonder because it is one of the most well known oriental tobaccos. It has a very small leaf with a small vein construction and a low nicotine content. The color varies from light green to pale gold and it is very sweet and lightly aromatic. It is excellent for blending because it “marries” with practically any other type of tobacco. Real Samsun, which cannot be successfully grown in any other part of the world, is considered by the Turks to be among the world’s finest tobaccos. It has a small leaf, is light in colour and has an extremely fine texture. It is generally used in pipe tobacco of superior quality. Basically the same type tobacco as Samsun. Baffra tobacco has small, red or darker brown leaves of fine texture and it gives off a very pungent odor. It is not quite as fine a tobacco as Samsun and is usually used to give flavor and aroma to all blends. The other Trebizond tobacco has large, light red leaves of fine texture. Its taste is strong and it is very aromatic. The leaves are usually “topped” in the growing, which adds to their size and to their nicotine content. 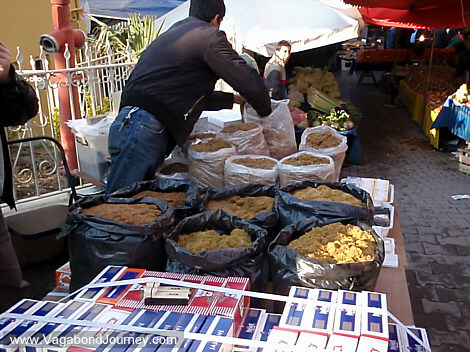 Most Trebizond is grown for local (Turkish) consumption. 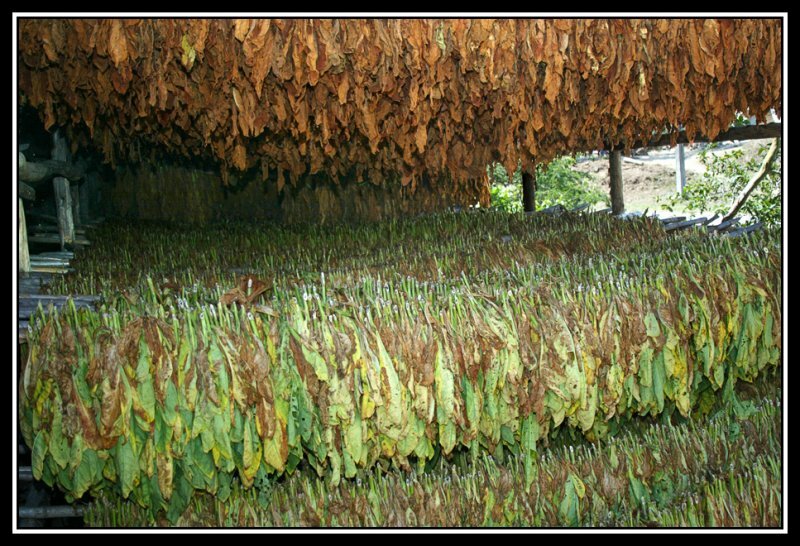 This region produces many varieties of oriental tobacco. The most outstanding are Prilep, Yakka and DjebeI. All three are Basma types and the most popular and widely-produced is the Prilep variety. The Yakka tobaccos are more delicate and are very similar to Greek Basmas. The Djebels are grown in rather restricted quantities and are very similar to the Bulgarian Djebels. In areas surrounding the Black Sea, Georgia produces Sukhum (Sokhoum) tobacco, a strain from the Samsun seed. Grown in and around Sukhumi, some experts consider it the finest oriental grown anywhere. 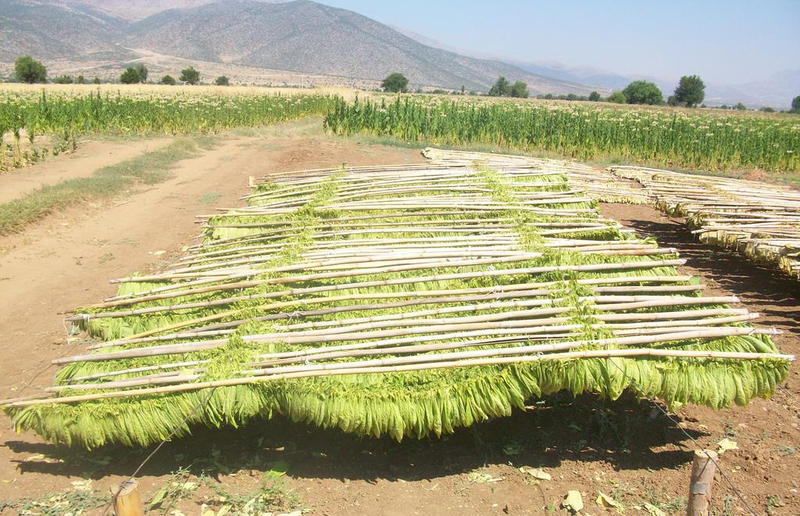 Bulgaria produces in its Macedonian area oriental tobaccos (like Djebel) that are similar to the Basma and Bashi Bagli types of Greece. *Phewww* ok, that were the different species of oriental tobaccos. In the older days they were widely used in pipe tobacco. Nowadays they are rare. No I say that wrong, they are not rare. Nowadays specific oriental tobaccos are hard to get. The real issue is the quantities pipe tobacco manufacturers have to purchase in order to get them. Most of the tobacco farmers in the regions I mentioned also grow other crops. Tobacco isn’t their only, or even their main source of income. Most produce only about 1000 kg or less per year. A lot in our ears, but not in tobacco manufacturer ears. Much of that 1000 kg is used in the production of local cigarettes. Almost all what is left gets mixed and piled up together and is sold to the big cigarette companies. The scraps often go to pipe tobacco companies. And many scraps of oriental tobacco still make… Oriental tobacco. That is why in many current mixtures an unnamed assortment of the exotic leaf is used. Let´s quote master-blender GL Pease on this: If I wanted to get a container full of any particular variety, about 4.5-tonnes, it would be possible to do so, but consider the fact that there the US pipe tobacco market, overall, is only about 1600-tonnes, and the vast majority of that is OTC aromatics. That container full of Turkish leaf, used in a mixture that may comprise 15% oriental, would yield about 30-tonnes of finished product. It would take a lot more decades than I have left to recover the investment! So he is bound to what a tobacco broker can offer him, instead of him buying specific oriental tobaccos. This is kind of logical but oriental tobaccos are sun cured. The leaves are exposed to the sun to remove most of their moisture before being air cured to complete the process. Then they are stored in bales and allowed to ferment. Now something about the use of oriental tobaccos in a blend. Orientals can have flavours that range from sweet to musty to buttery to floral. Since most of them have a pronounced flavour a little can go a long way. According to a German master-blender 30% on the whole of a mixture is the maximum. I would say that 25% is enough. But if you like a specific oriental you can also smoke it straight although I don’t recommend that. Together with some Virginias they really sing. If you smoke it in a blend halfway the bowl the oriental taste often is the strongest. Very informative post! I hope you won’t mind that I linked my latest post to your expository on Oriental tobacco? Thanks!! I won’t mind at all! Yet another fine work! Keep it up, and, thank you! Arno, your passion for our hobby and the time you’ve no doubt put into researching and writing these articles is greatly appreciated. Thank you for this informative series on Orientals, and keep up the good work. I’m learning something here all the time. Thank you very much mr. Craven! Great blog. Most of the time being an aromatic smoker, I was new to a lot of this information. Makes me want to read reviews of the mixtures you mentioned, and perhaps try them. If I don’t like it, so be it , but at least I gave it a shot. So keep up the good work! Hello Edgar! Antonio indeed is a great blender and also a very nice person. I have several of his tobaccos and I really do like them. Ik had al bijna de hoop opgegeven dat ik de informatie in deze post en de vorige op het internet zou kunnen vinden, begon haast te denken dat kennis van de verschillende orientals een soort kennis was dat je alleen kon verkrijgen door in de leer te gaan bij een meester in het ambacht of zo. Bedankt! Eén opmerking: onder Russchische tabakken noem je Sukhumi, maar is ligt dat niet in Georgië? Of is er in Rusland ook een stad die zo heet? Hallo Simboels, dank voor het lezen! Klopt, Sukhumi ligt in Georgië, heel scherp. Het is een fout van mij. Ik heb veel van de info van deze twee blogposts uit een oud boek toen Georgië nog behoorde tot de Sovjet-Unie. Ik pas het aan. Dat vermoedde ik al. Maar al bevat het dan gedateerde informatie, ik ben toch heel blij dat jij het boek had, zodat je deze blogposts kon schrijven. Nu ben ik trouwens nieuwsgierig geworden. Staat er in dat boek ook iets over Semois? Ik ben ook blij dat ik het boek had hahaha, nu is er weinig informatie meer te vinden over de verschillende oriëntaalse variëteiten. Nee, niets over Semois, dat was toen een niet echt bekende tabakssoort buiten België en delen van Frankrijk. Ik heb overigens wel (misschien dat je ze al gezien hebt) meerdere blogposts over Semois geschreven. Ik heb inderdaad al wat op je blog zitten rondlezen, maar enkel sinds eergisteren, toen ik hem ontdekt heb. En dan ben ik ook nog gesidetrackt geraakt doordat ik via jouw blog de weg naar het pijprokersforum gevonden heb, waar ook heel wat interessant leesvoer op staat. Ik was nieuwsgierig of Semois vermeld werd, omdat ik me herinner dat mijn mama mij ooit gezegd heeft dat de leraar haar in de aardrijkskundeles heeft geleerd dat de streek van Semois wereldvermaard was voor zijn tabak, toen ze in de klas de provincies van België bespraken. En omdat ik aan de andere kant nooit enige indicatie heb gevonden dat iemand buiten België of Nederland op de hoogte was van Semois, het is te zeggen, wel sinds het artikel in The New Yorker een paar jaar geleden, maar daarvoor niet. Dus is Semois nu wel of niet iets dat in het rijtje past van fijne pralines, trappistenbier en frieten? Als Belg ben ik daar wel nieuwsgierig naar, ookal zou Semois dan vooral historisch gezien in dat rijtje passen. Al bij al denk ik dat de brave aardrijkskundeleraar de zaak waarschijnlijk een beetje overdreven zal hebben. Ik vrees dat de aardrijkskundeleraar de zaak inderdaad waarschijnlijk een beetje overdreven zal hebben. De meeste Nederlanders van het pijprookforum hoorden pas rond 2011 van het bestaan van Semois af van Belgische pijprokers. En buiten onze grenzen zal het artikel in de New York Times veel goed hebben gedaan voor de Semois naamsbekendheid.